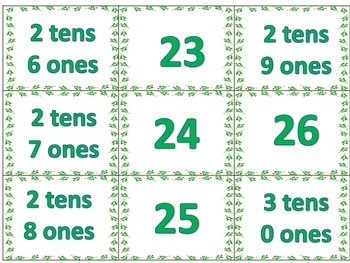 This is a great activity for students learning place value. Corresponds to Go Math 1st grade Chapter 6! 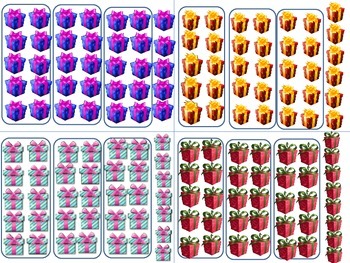 This file contains numbers 1-46 that have presents representing tens and ones, the numbers, and the number of tens and ones. 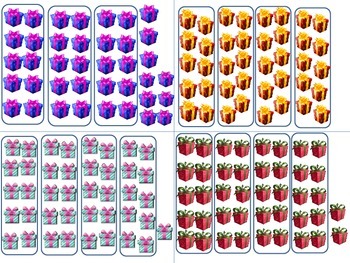 Students must match the present card for 36 (3 groups of ten presents and 6 individual presents), the number 36, and then 3 tens and 6 ones. This file can also be used with or without any of the cards. Teacher is able to choose which numbers students can work at a time. Print this activity on card stock and laminate for durability. Great for math centers or a finished work activity! The came can be played as a memory/concentration type of matching game with all 3 matching cards or 2 matching cards depending on the level of your students. Also great for teacher guided small group instruction. Great for Kindergarten students, 1st grade, a review for 2nd graders or ESE students. 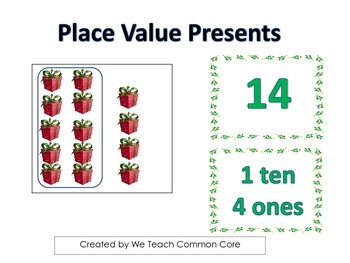 Many great uses for this holiday themed place value activity activity!